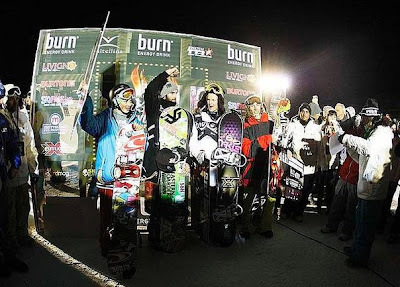 The Blog / EasternBoarder : Congrats Yale!! Eastern Boarder Team Rider Yale Cousino bringin' some scrilla back to the United States after winning the Burn Energy River Jump in ItalyYale Cusino’s winning run featured backside 1260 on the straight jump, cab 540 on the Spoel River gap and backside 270 on the Burn can. He also won the “Best Jibber by Burn” thanks to the backside 270 on the can of his winning run.